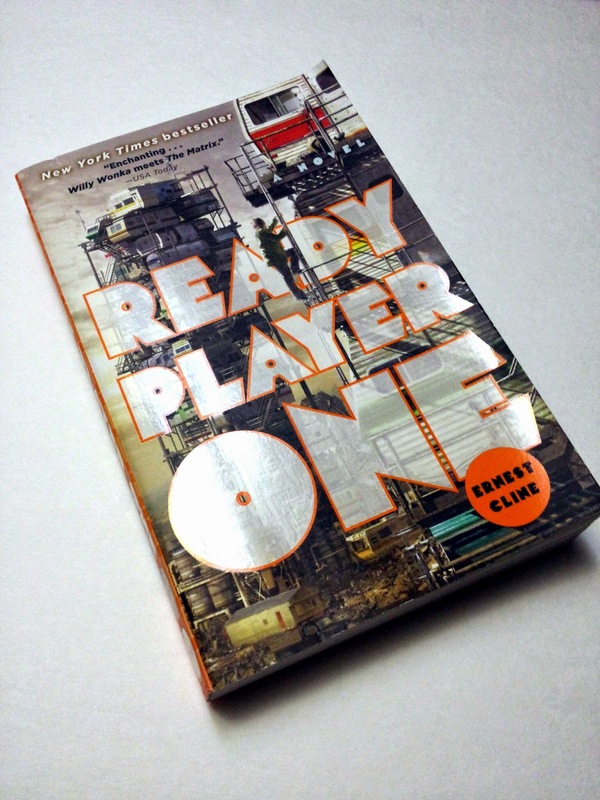 I received my copy of Ready Player One by Ernest Cline in the February Loot Crate. I didn’t know much about the book or the author. I read the sales copy but I wasn’t excited to read it. I read an article about Steven Spielberg being tapped to direct a movie adaptation, so I decided to give it a read. Ready Player One is a science fiction novel written by Ernest Cline, set in the year 2044. The world is overpopulated, going through an energy crisis and dealing with wide spread poverty. The population escapes this reality by going into a virtual one called “OASIS” (Ontologically Anthropocentric Sensory Immersive Simulation). The OASIS is a hyper realistic open world game where people can go on quests, work, and even attend school. At the beginning of the book one of the creators of OASIS,billionaire James Halliday, dies and leaves his estate to the first person to find the virtual easter egg he has hidden somewhere in OASIS. In his announcement video, Halliday uses many 80’s pop culture references which people interpret as clues. This leads to a resurgence in everything 80’s, from video games to music and movies. The narrator of the book is Wade Watts, a high school student and full time egg hunter (gunter). He dreams of finding Halliday’s egg and escaping his life of poverty. He is well versed in 80’s movies, music and video games. He meets a few people along the way, his best friend “Aech” and “Art3mis”. They usually discuss 80’s trivia trying to outdo each other with a “who knows more” contest. The main antagonist of this story is Nolan Sorrento the head of the Oology Department at Innovative Online Industries (IOI). IOI is the typical greedy corporation. They want to destroy the open and free version of the OASIS and turn it into a “pay to play” world. Wade and his friends must find the egg before IOI or else the OASIS as they know it will cease to exist. Ready Player One is one of my favorite books. It’s a great story about gamers and how gamers can change the world. I loved the pop culture references in this book. It brings back memories of my childhood especially the gaming references. Cline does an excellent job building the world especially OASIS. However, the book primarily appeals to people who enjoy copious amounts of pop culture references. The writing is okay at best with the exposition spanning more than a few chapters. The book also feels like a young adult novel but the target demographic would be 80’s and 90’s kids. Even with the books shortcomings, I would still recommend this book to friends. I might re-read the book before the movie comes out. This is a book any nerd will enjoy.